Getting ready to cut the ties and sail. Such a big step in a much larger journey. Are we ready? Can anyone really say they are completely ready for such a journey? How did we get to this point? Our story is not uncommon in the sense of how we arrived at a place in life where we made the decision for a radical change in how we live, but our solution is a bit more unique, although not completely so. Sometime around mid-2007 we, the First Mate and myself, were in our office working in a typical weekday. I was going over the books to see how we were doing for the month, and I noticed that our income had dropped substantially. We had noted that we were not receiving the phone calls that we would normally expect for that time of year, so the decline wasn’t a complete shock, but the amount of decline was. As we watched the news and read what information was available, it became apparent that we were in the beginnings of an economic crash, and things did not look good for our country. As the weeks went by things became progressively worse, and by the beginning of 2008, it was apparent that we were in a recession and quickly heading for a depression. Although mainstream news attempted to buffer and minimize where we were headed, the numbers and bank accounts do not lie. In our business, we have the responsibility of researching our clients’ banking and retirement accounts in the course of handling their business. It was clear that we weren’t the only ones that were headed for financial trouble. More and more of our clients that had enjoyed income from two people in the household working were now dealing with one spouse being laid off, and sometimes both. Savings and retirement accounts were being depleted just so that families could survive. Watching this happen over and over helped bring us to conclusions on what our options might be. Seeing our clients try to maintain their lifestyle as the economy crashed was a sad thing and a sure way to financial ruin. We had to have a different strategy or the same fate would quickly befall on us. By the time that mid-2008 rolled around we had already been thinking of alternate lifestyles. For a while, we toyed with the idea of perhaps buying a nice recreational vehicle and moving into it. We looked around and priced R.V. parks, and decided that it would end up costing around the same as our monthly outlay. Within the next few months, we decided that we would ultimately be better off living in our office and selling most of our furniture and belongings. What we really wanted to keep we could put into storage, and by pruning our lifestyle down to the point of living in our office, we would be eliminating a lot of debt. We also wanted to pay off our cars and become as debt-free as possible. By the time that we were coming to these conclusions, it was clear that debt had become a real enemy to anyone wishing to maintain control over their lives, so we worked diligently towards the goal of becoming debt-free. By the end of 2008, we had completed our transition to living in our office and only had one car payment to deal with. Life was becoming simpler by the day. 2009 was the year we made the decision that a sailboat was going to be our best investment for our future. We thought of it in terms of being our retirement home. 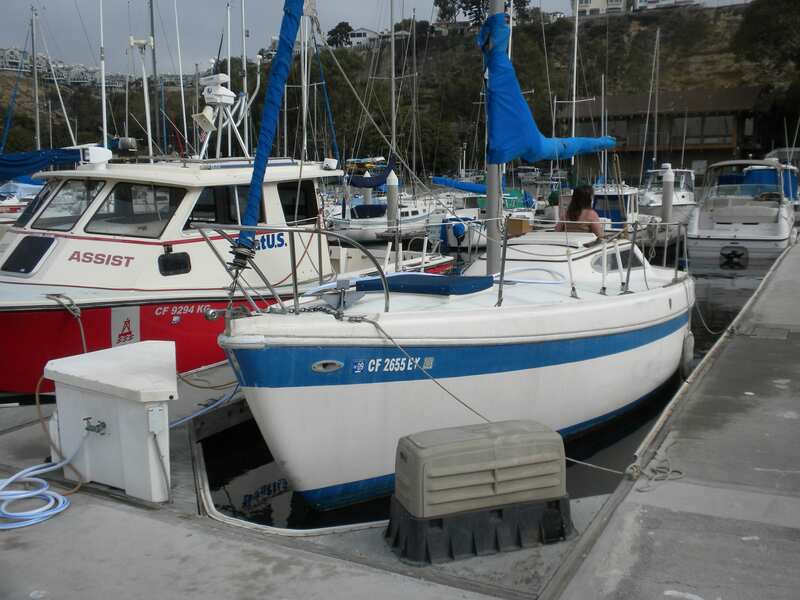 In June 2009 we purchased our first sailboat – a 1973 Columbia 26. She was a bit rough but solid and fairly clean. I had not been sailing since I was a child and the First Mate had never sailed. We thought this would be a good boat to learn on. 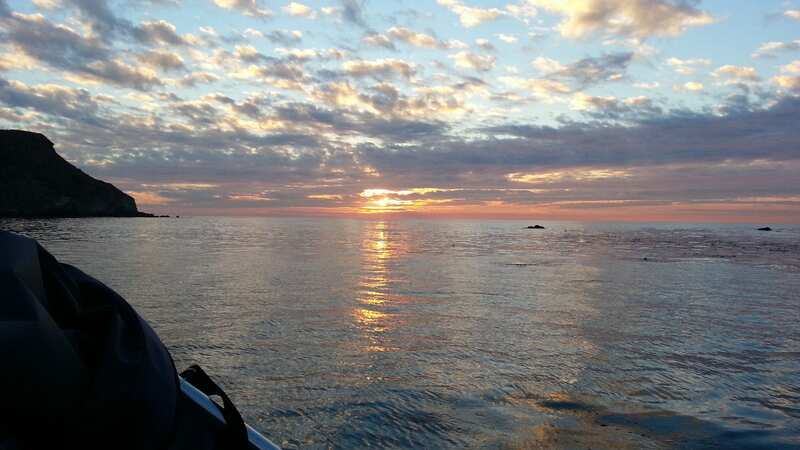 In the event that we sank her, we would not have been out much, and in the event that we hit someone else’s boat, we had enough insurance to handle it. We owned that sailboat for about four months before deciding that we were hooked. We started looking for a bigger boat, and around October of 2009 we found her. 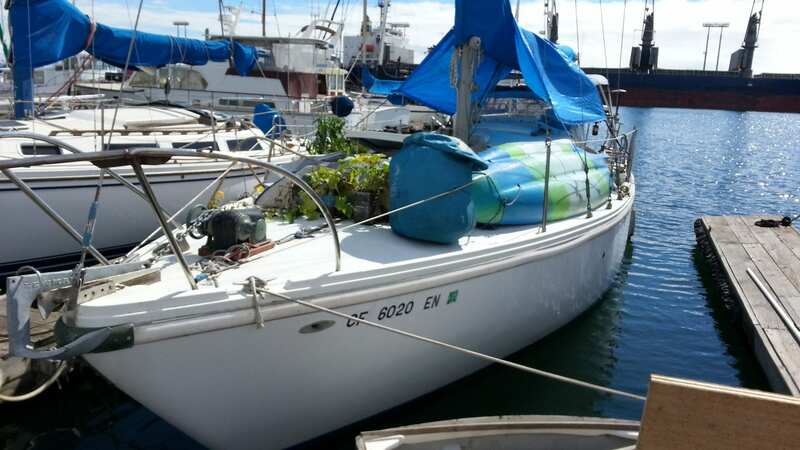 She was a Harstad 31 Motorsailer, and she was listed on Ebay. A 31 footer and a really clean boat. We watched the bids go by, and about an hour before the auction ended, as the bids were creeping up, we decided to take the plunge and clicked on the “Buy it Now” button. We contacted the owner, picked up a cashier’s check from the bank, and went down to inspect her and take possession. She was everything we had expected, and more. We loved that boat and sailed her to the islands every chance we could. her history. After we bought her we started planning what we would need for her to voyage. We added solar and wind generation, replaced her toilet and plumbing, installed radar, SSB, refrigeration, and many other options. We sailed her for about four years before we decided we wanted something more suitable for voyaging in the Pacific. Live and learn, eh? One day while sailing back from the island, the First Mate was at the helm. Conditions were starting to liven a bit. We had about 25 knots on the stern quarter, and she was really having to work the wheel in the six to eight-foot swells. At one point the boat nearly rounded up, and it surprised the First Mate so much that she asked me to take over. In talking about the situation, she became aware of rounding up, what caused it, and what the outcome might be. 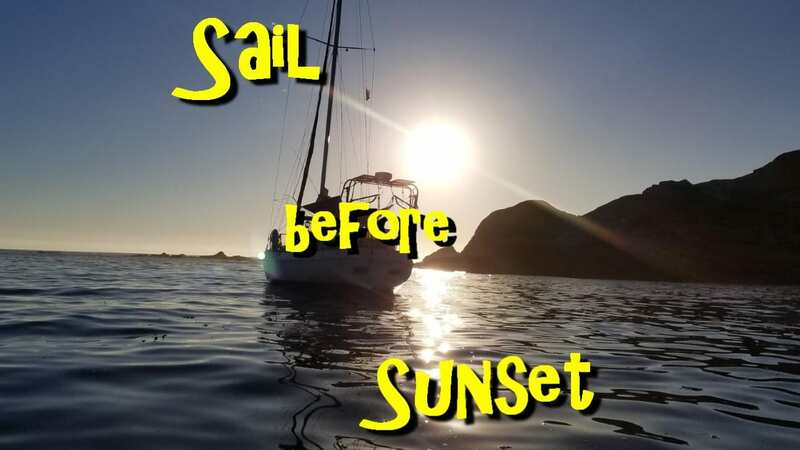 After a bit more discussion on how different boat designs handle seas, she stated that she wanted a full-keel boat, and would have nothing less. What can you say to that? I agreed and we started looking for our next sailboat. marina came over to our boat one Saturday and told us of a sailboat that a friend was selling. 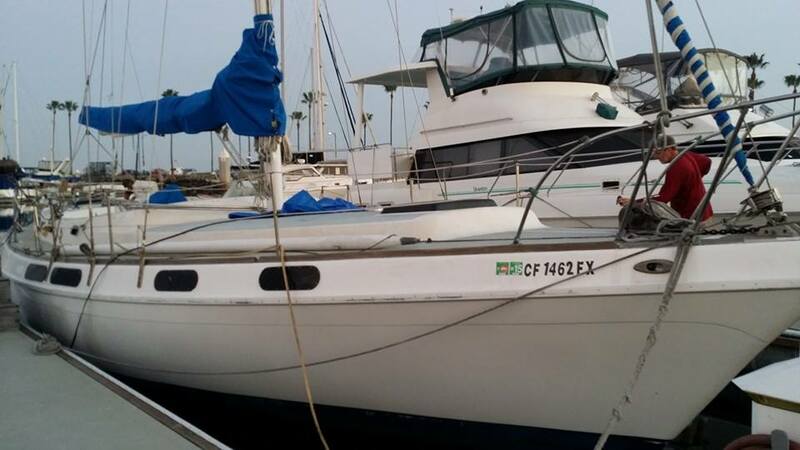 She and her husband had been a liveaboard for close to 20 years, and he had recently passed away, so she was selling it. We made plans to have a look at the boat and ventured to the marina where she was slipped. She was a Morgan 41 Out Island, and she was beamy and big. Because they had lived aboard her for so many years, she had her wear marks and had seen (much) better days. 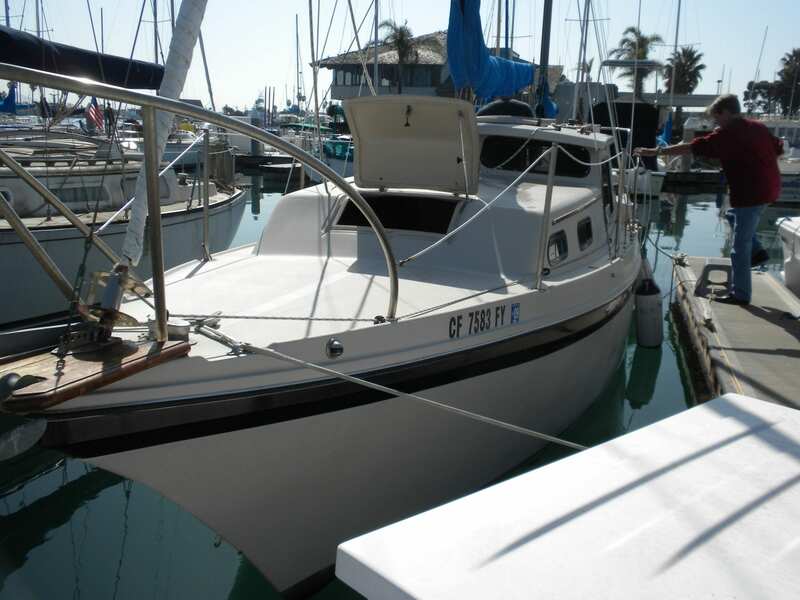 She passed my “big three” list – solid hull and she floats, good rigging, and good engine (more on the engine debacle here) – so we accepted the owner’s offer and gave her time to get her affairs in order. We took possession at the end of February 2015 and moved her to our marina. We’ve been doing a lot to clean her and upgrade her equipment to get her ready for the South Pacific, and have plans to cut ties and leave as soon as possible. ← Database Crash – Whew!